Love, and the world around will change! Love yourself, loved ones, friends and just strangers, and space will reciprocate. 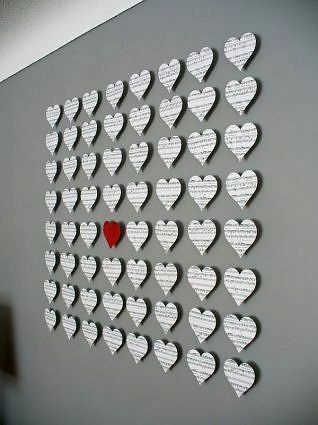 And in order to visually fill the room with love, make a simple, but nice decor of the wall with paper hearts! This idea is identical to personalized picturesAnd cards from hearts. 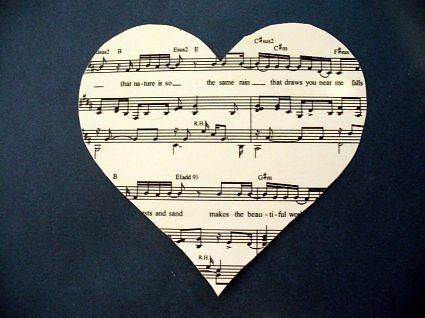 Here you can also encode in the figures a romantic message, important dates and places, lyric poems, a song or a melody. In this example, the notes are used. 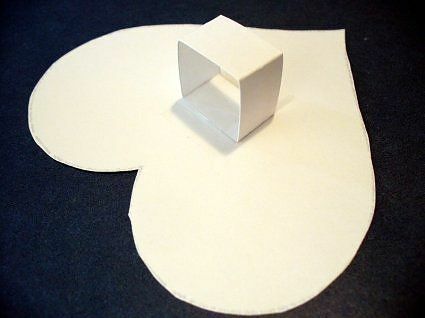 Cut out the notes of the heart of the desired size. To begin with, it's better to cut one as a template for everyone else. 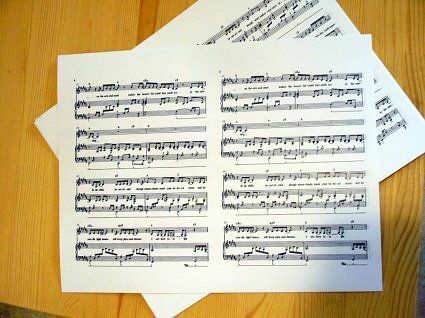 From scraps of the same sheet music, but it is better to cut out long strips from thicker cardboard. 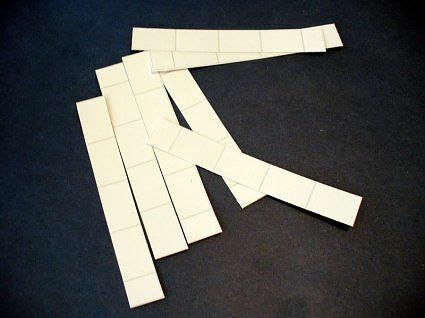 Each strip is bent and folded so as to make a rectangle. It is glued to the heart from the back side. This will be a wall mount, giving an easy 3D volume effect. 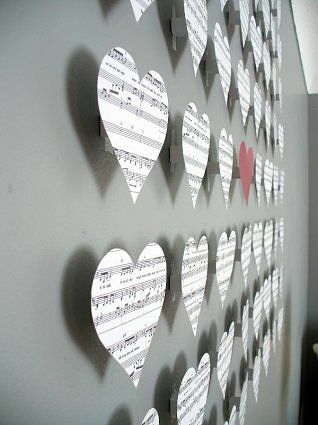 How to attach paper hearts to the wall? Several variants. 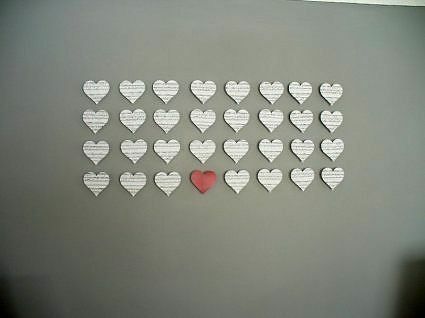 Use double-sided adhesive tape, buttons, or glue the hearts on a pre-prepared substrate, for example, a sheet of paper, and then hang the entire sheet on the wall as a picture. Here is a side view: And even closer: Love and be loved on this wonderful day and always! 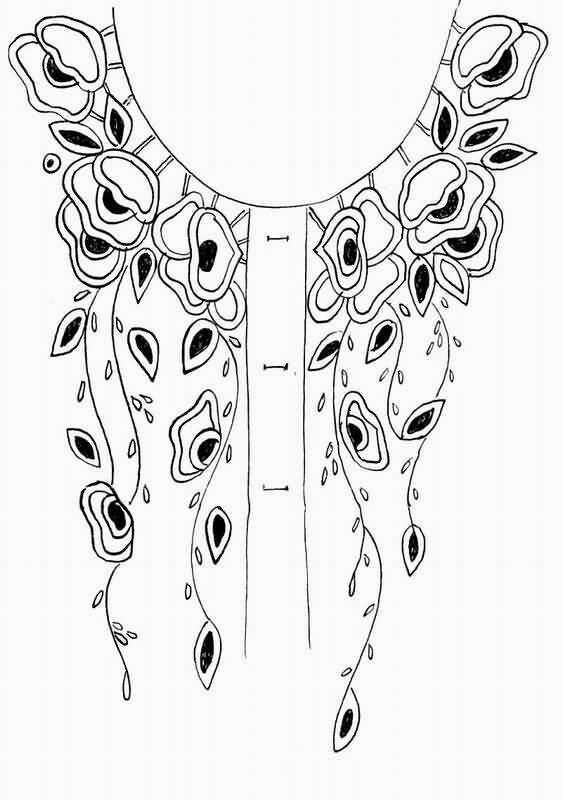 Origami on a paper wall Decoupage usual hours and with the effect of aging (photo) Easter wreaths: decorating the entrance doors Embroidery knitwear: decorate the clothing with their own hands (scheme) How to hang pictures on a wall without nails?